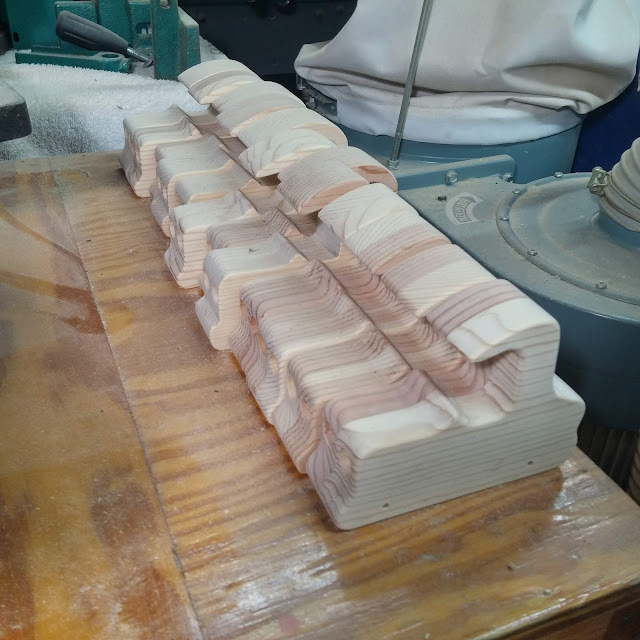 Most of the sanding was done with belt sanders. 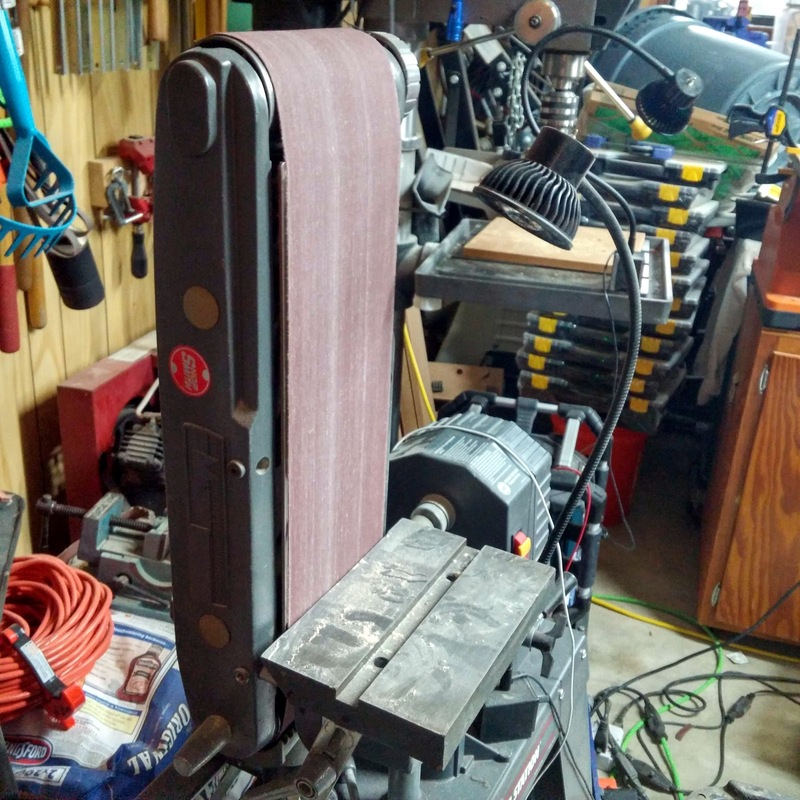 Delta Model 31-340 1x48-inch Belt Sander and my Shopsmith 6x48-inch belt sander. 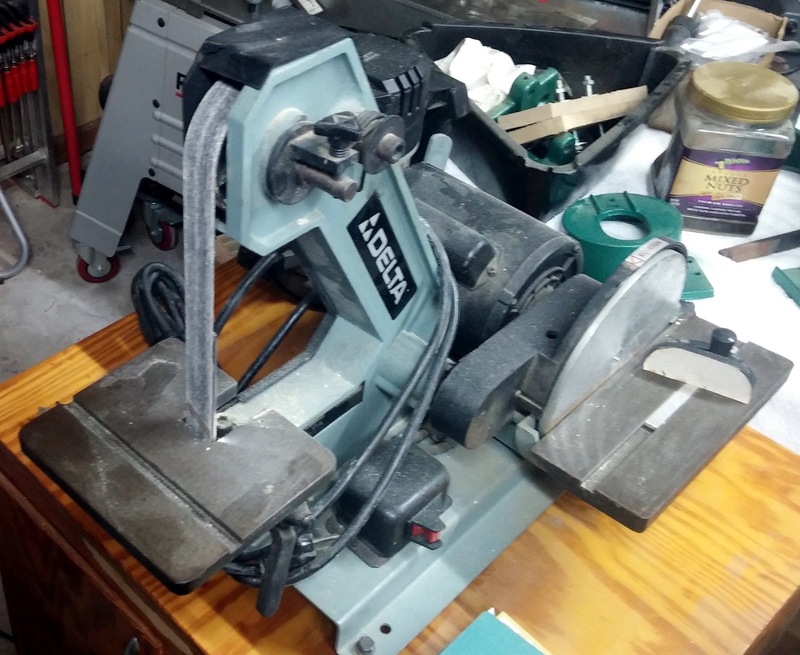 I consider belt sanders essential to a toy makers shop. Before sanding, I rounded over the corners with a clean, sharp 1/8-inch radius round over bit paying very close attention to grain direction to prevent as much tear out as I can. It's ok to back route when doing this because the cut is so small. You can do the round over by hand with sandpaper but the router is more consistent and faster. The rest of the sanding was done by hand using various sanding tools I have made and fingernail file scraps.